Replenix Neckletage Review: Does It Really You The Best Results? 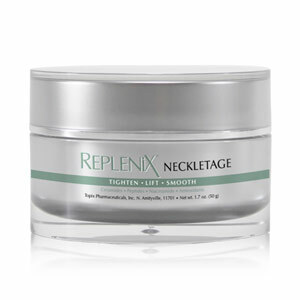 Replenix Neckletage hydrates and tightens saggy and loose skin. By using the latest technology in the delivery of nutrients to the skin, this product targets fine lines and wrinkles. It also helps in lightening the skin tone and getting rid of dark spots. The used potent antioxidants to give your skin a brighter and radiant skin. This product promises to tighten the loose neck skin and give you a younger look. Topix Pharmaceuticals has been in the cosmetic industry for more than 30 years and have proven its worth in the market. They manufacture cosmetics and skin care product with top quality and have been known for their strict quality control. All products they make are produced in high-tech FDA approved manufacturing facility. Replenix Neckletage should be applied on a clean skin surface for better absorption. Apply a liberal amount on the neck, jowls, shoulders, chest, and décolleté area. For best results, Topix Pharmaceuticals advice to use it once in the morning and once in the evening. Using this product for 12 months will give you the best results. A jar of this product contacting 1.7oz costs $78. This product is available on third-party retail websites and authorized resellers. Biomimetic Ceramide Complex: This is a propriety blend that boosts skin hydration. Apple Stem Cells: This product is believed to increase collagen growth for younger looking skin. Antioxidants: This product contains antioxidants that fight off early aging of the skin cells. 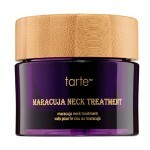 This product improves neck skin elasticity. 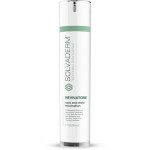 This product smoothens the skin and reduces fine lines and wrinkles. This product hydrates the skin. This product contains propriety blend with undisclosed ingredients. The price of this product is beyond affordable. This product does not have many reviews online. The neck area is often a neglected part of the skin. Cosmetics company have found that out through years of research and experience. To address that issue, many companies are manufacturing products specifically for neck and décolleté care. This product promises to lift the sag on the neck and even out skin tone. Unfortunately, the recommended one-year usage for best results is too long. It may be impractical to use something in a span of 12 months that is potentially ineffective. Also, the propriety blend they included in the ingredient list is not properly disclosed. For people with sensitive skin and allergies, not knowing the full list of ingredients is a risk. Plus, there are only a few reviews and user reports online that you could check. It may be better to look for other brands that have more positive online community review. 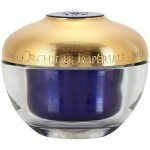 Overall, we recommend you look for other brands that are not as expensive as this with the same formulation. You can have other brands as effective with half, or less than the price of this product. Unfortunately, Topix Pharmaceuticals does not have a clear policy on the exchange, returns and refunds of their products on their official website. You can check your retailer’s policy if they are handling returns and refunds for Replenix Neckletage. Many antiaging creams and serums focus solely on the face and eye area, neglecting the neck and chest. However, these areas can age just as quickly and also require treatment in the form of a nourishing and hydrating cream that has been specifically formulated for aging skin. Always look for a product that uses good quality ingredients, made by a reputable company who offers a solid money back guarantee.